maart 2019 | 694 blz. januari 2019 | 174 blz. 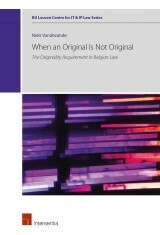 This book analyses a select number of incarnations of the originality requirement in different branches of Belgian law in order to establish whether common elements or a common root can be found. These findings will subsequently be applied to the practice of digitalization in law in order to gain a better understanding of how the concept of originality should be interpreted in this matter. december 2018 | 426 blz. 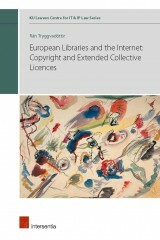 States increasingly delegate regulatory and police functions to internet intermediaries. This may lead to interference with the right to freedom of expression. 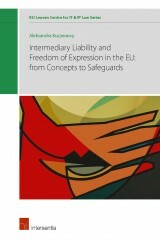 In a time when these issues are of particular relevance, Intermediary liability and freedom of expression in the EU provides the reader with a framework to protect the freedom of expression in an online world. oktober 2018 | 448 blz. juni 2018 | 500 blz. 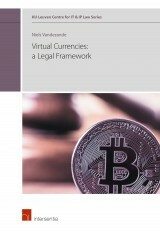 This book focuses on the legal aspects of virtual currencies from the perspective of financial and economic law. It establishes a typology of virtual currencies and assesses whether they can be considered as money. 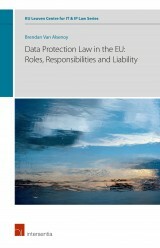 The author analyzes whether the EU legal frameworks on electronic money, payment services, anti-money laundering, and markets in financial instruments can be applied to virtual currencies.